Completed 1999. 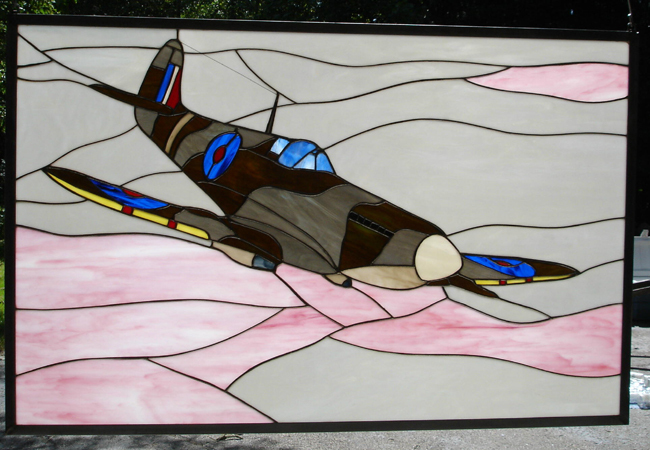 WWII RAF fighter in cloudbank. Used in the artist’s home as a fireplace screen.